These heart-warming snaps show the adorable bond built up between an abandoned baby fox and his very best friend - a bunny. 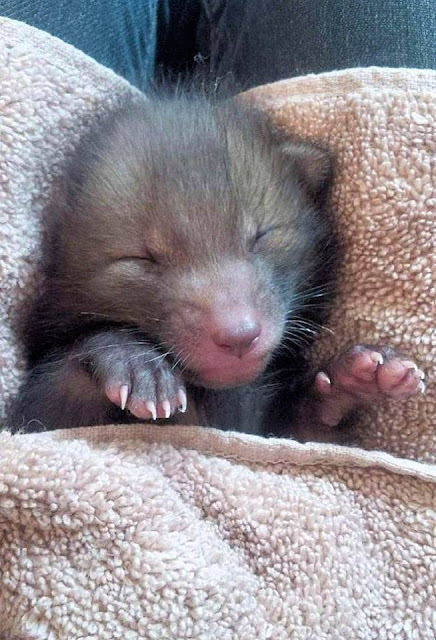 Bushy-tailed Puggle was found left behind by his family at just two weeks old in a north London back garden. 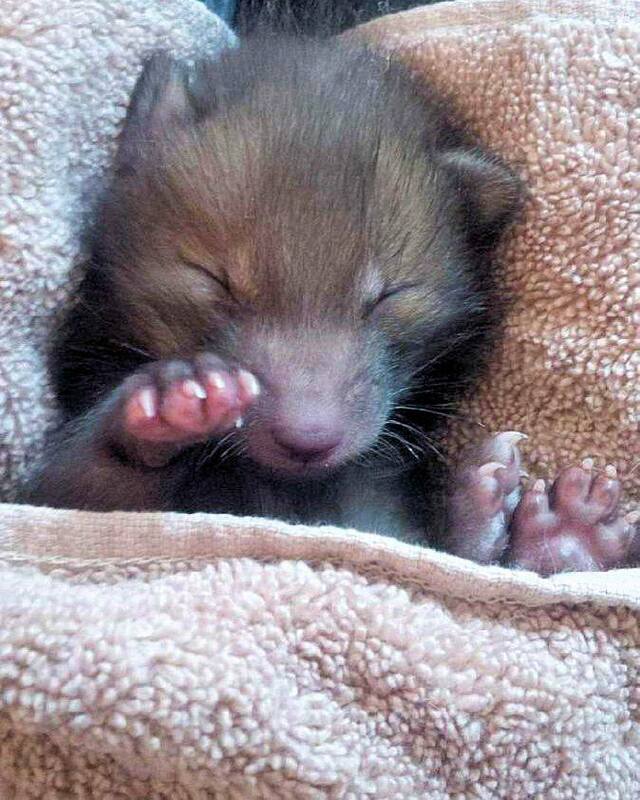 He was handed over to the National Fox Welfare Society. 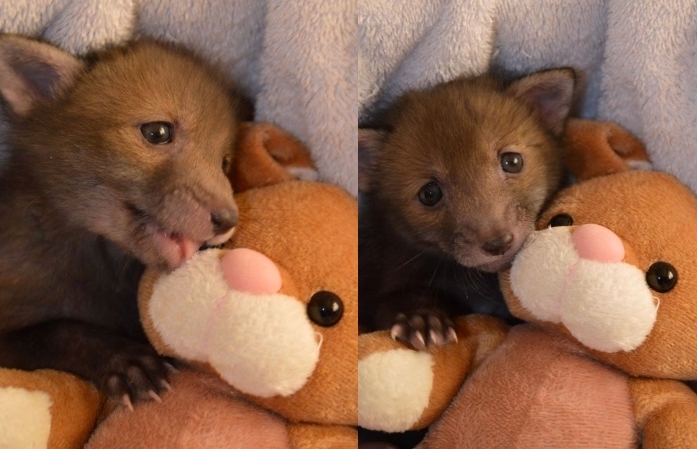 Since then, the orphaned youngster has been nursed back to health - where he has made acquaintances with a very cuddly pal, an old bunny toy. 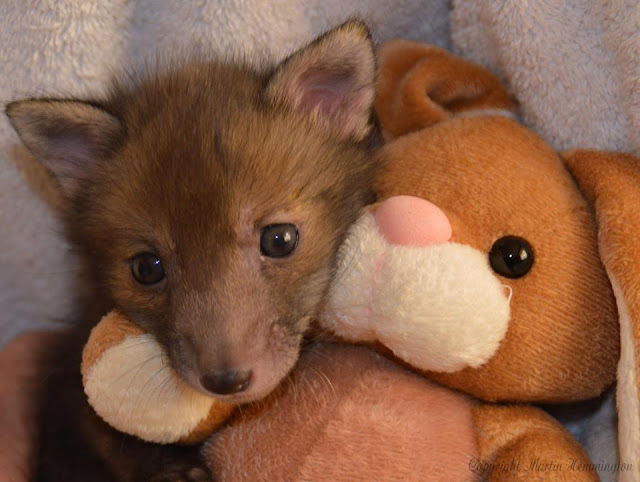 The pair are now never apart and spend hours on end snuggling up together and playing outdoors. 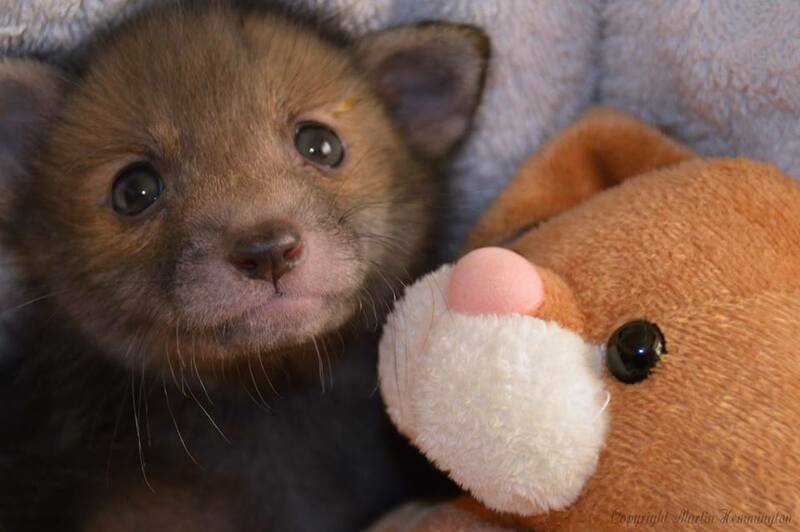 The fox society nurses cubs back to health if they are injured or abandoned, and Puggle was the first of the breeding season to come to them. By the summer, he will be big and strong enough to venture back into the wild on his own. 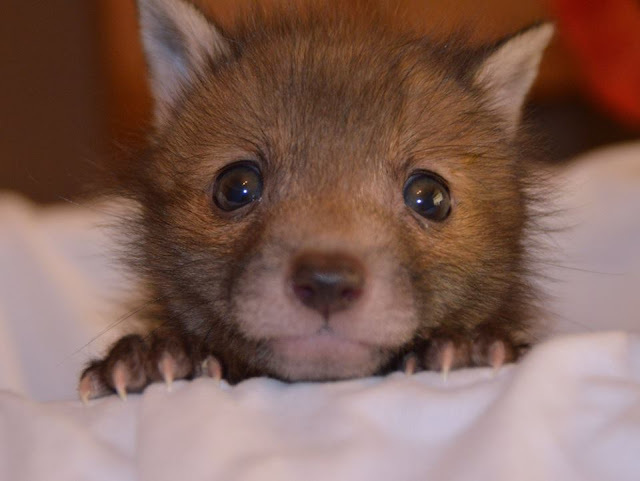 The society will 'soft release' him with a group of other orphaned foxes. 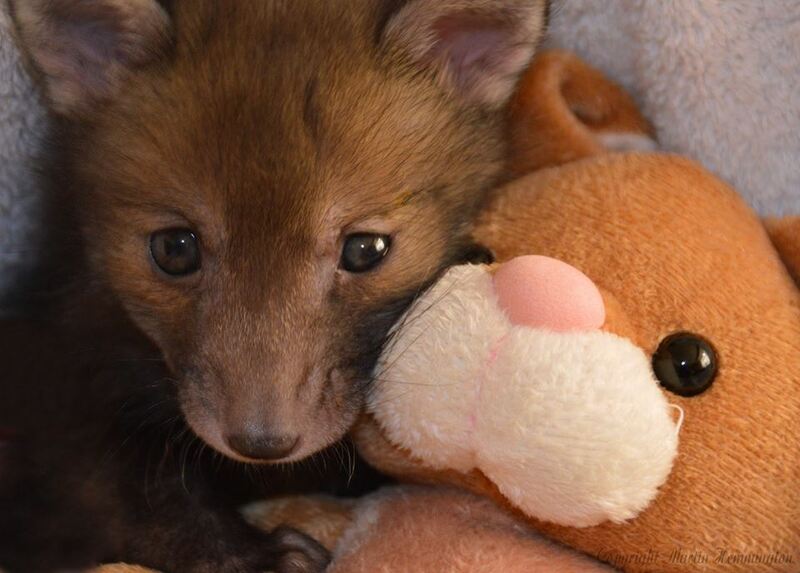 Responses to "Rescued Baby Fox Needs To Cuddle With Its Plush Bunny Toy"